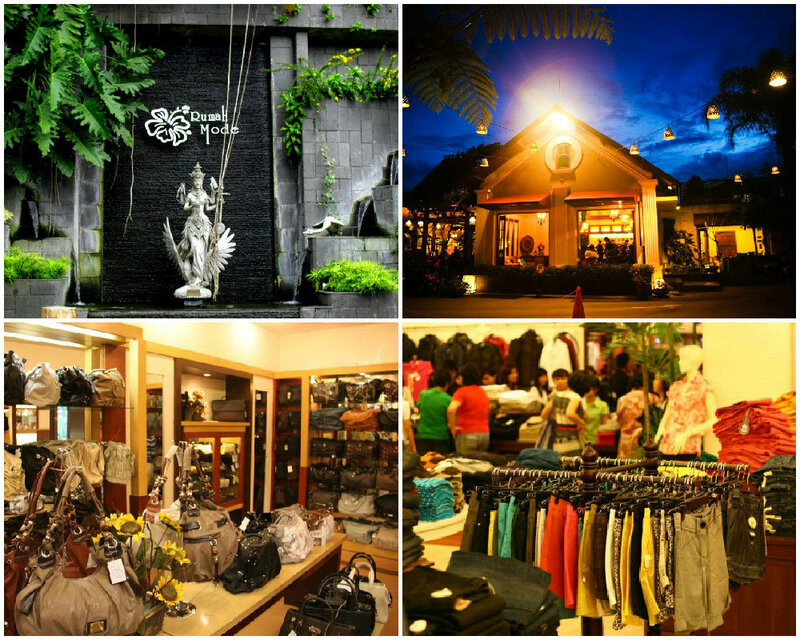 Planning to go on a shopping spree in Bandung, and don’t want to stay too far from the factory outlets? 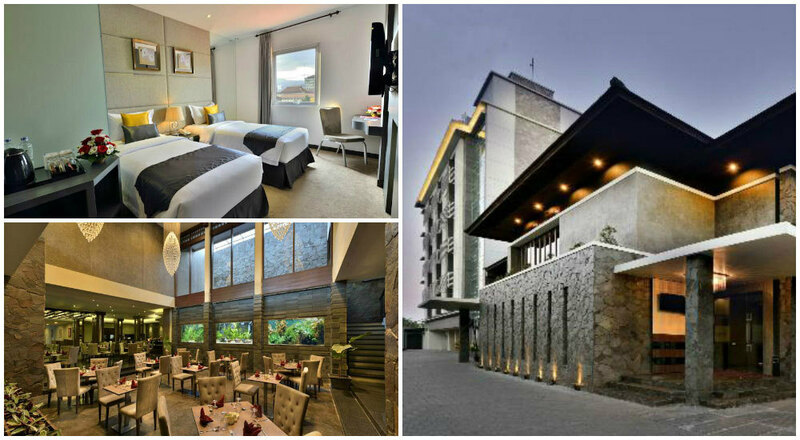 Fret not, we’ve shortlisted these fabulous hotels in Bandung which are located near all the shopping and most happening places, so you can literally shop till you drop (or till the shops close) and still walk back to your hotel a few steps away! 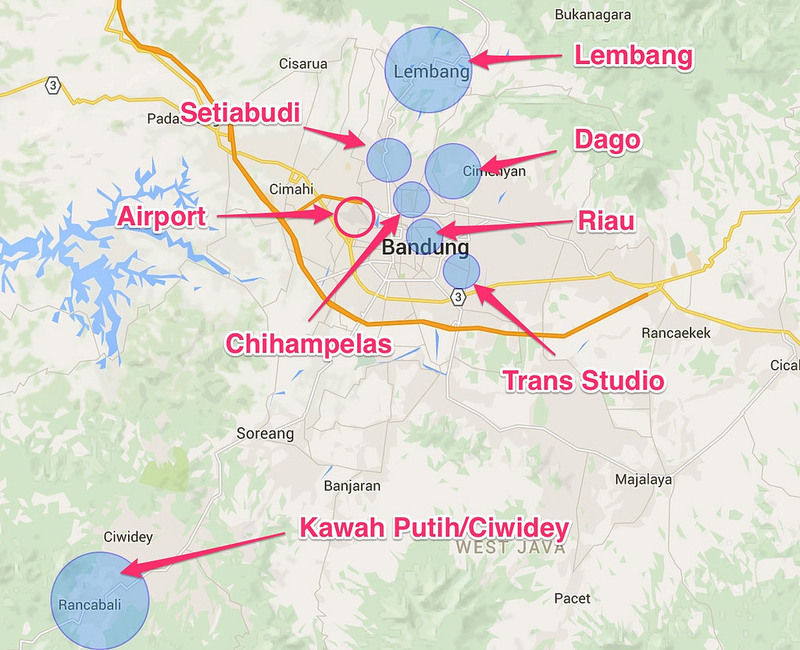 Here, we bring you to the 7 main districts in Bandung, show you what you can do there, and most importantly, where to stay in Bandung and stash all your shopping hunts! 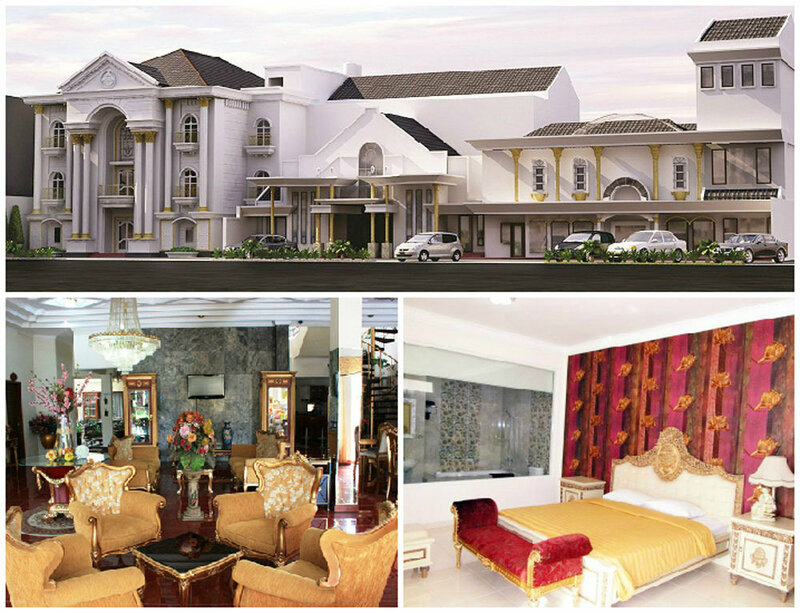 Setiabudi – For the shopaholics. There’s a rooftop farm (at Paris van Java mall) where you can bring your kids to. Bandung’s biggest factory outlet Rumah Mode is here too! Riau – There are so many factory outlets here – great shopping made affordable! There are plenty of good eateries here too! 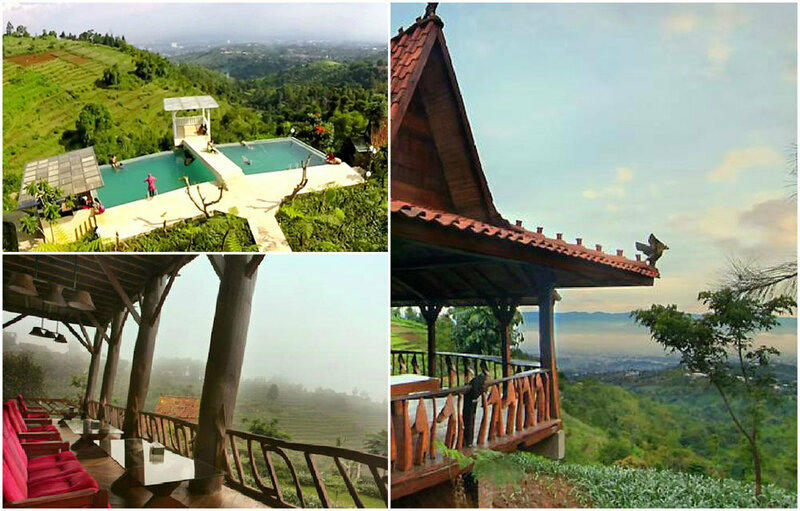 Lembang – If you can’t live without fresh air and nature, you should definitely stay here. 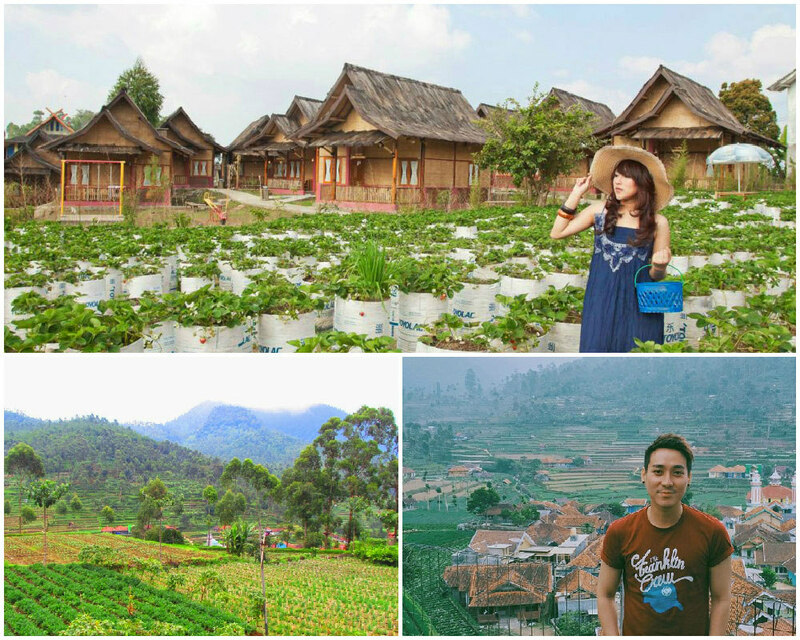 There’s many unique leisure parks, cafes with awesome city view and strawberry farms! 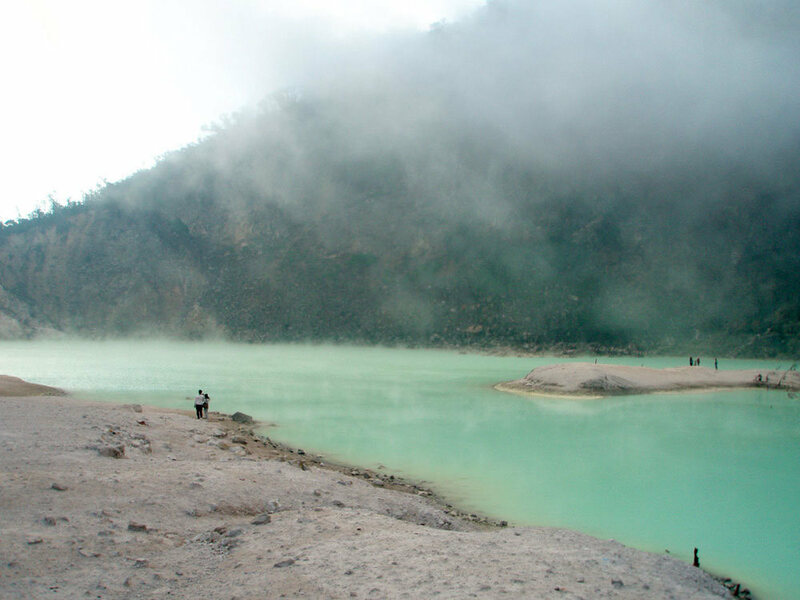 Ciwidey – The most popular attraction, Kawah Putih (a volcanic crater lake), is here. 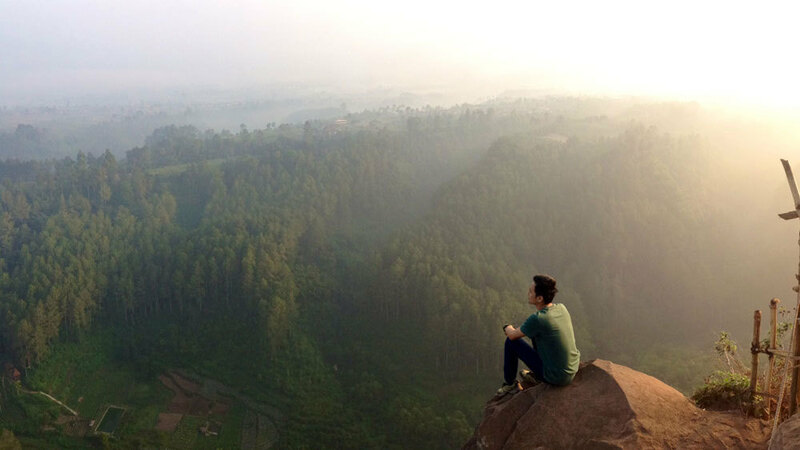 Similar to Lembang, this place is full of natural attractions too. 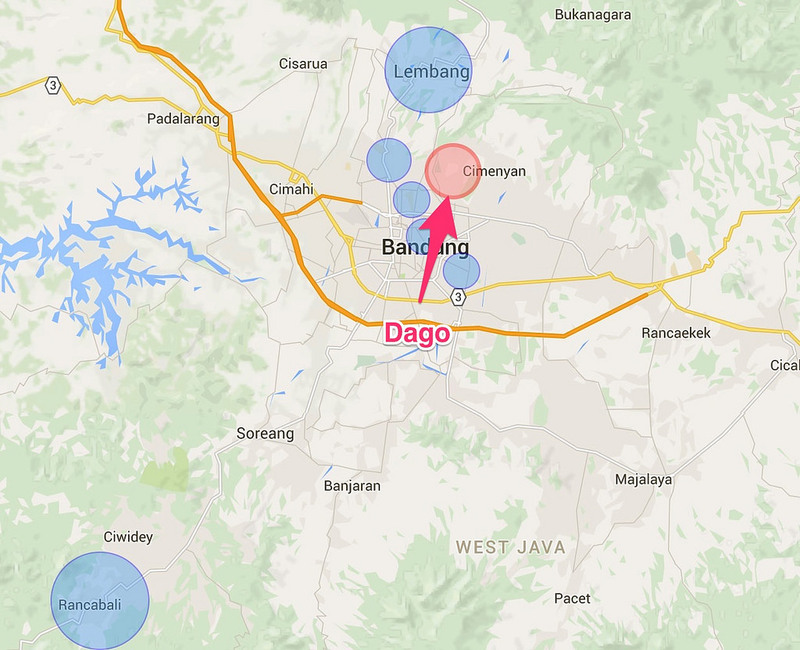 Dago – Here, it’s a higher altitude with many restaurants and cafes where you can get breathtaking views of Bandung city. You can even cafe-hop the whole day! 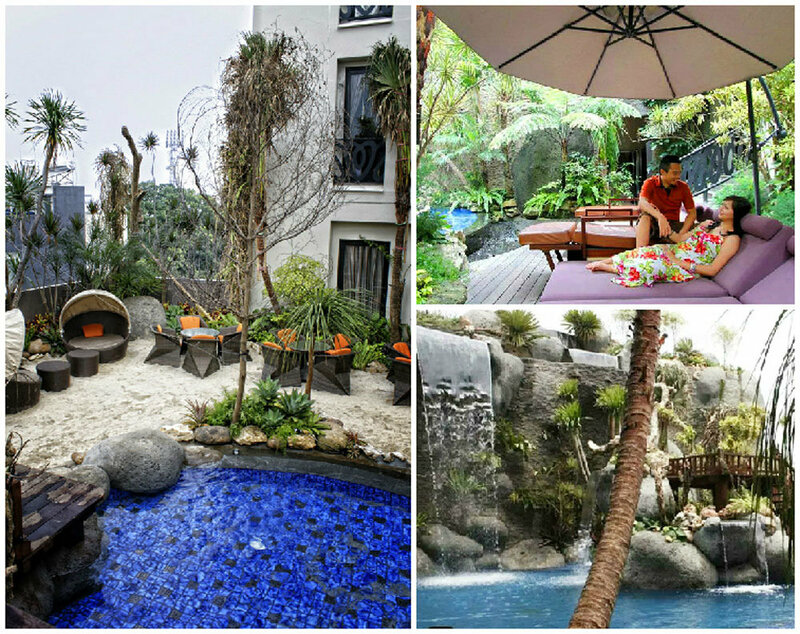 Trans Studio – This is the place you should stay at if you’re bringing the kids. 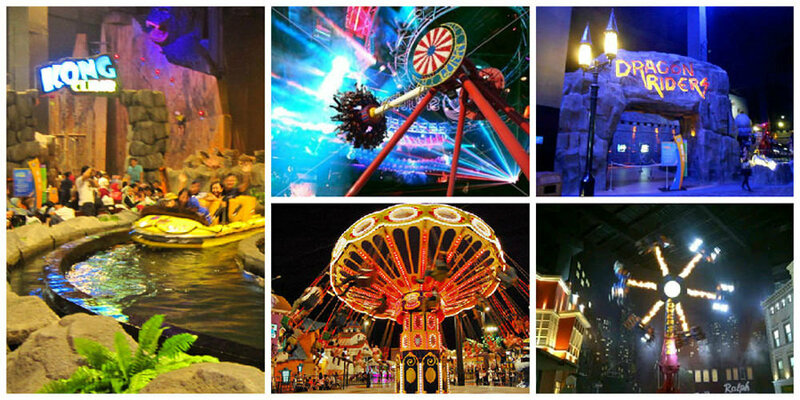 Trans Studio is one of the biggest indoor theme park in the world! For parents, there are more than 200 retail outlets here as well to keep you entertained! 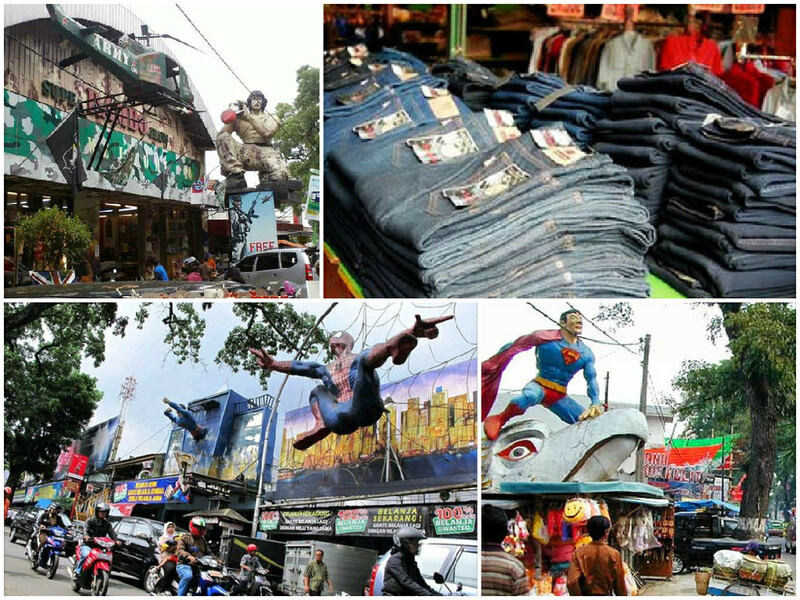 Chihampelas – Known as The Jeans Street, where you can stroll along a street full of shops selling denim in various forms, from pants to mini-skirts to jackets! Visit the popular Chihampelas walk, where nightlife is so vibrant! If you have less than 3 days to spend, we recommend that you stay at the central area – Setiabudi, Riau, Chihampelas or Trans Studio, Dago and make day trips to Lembang or Ciwidey. 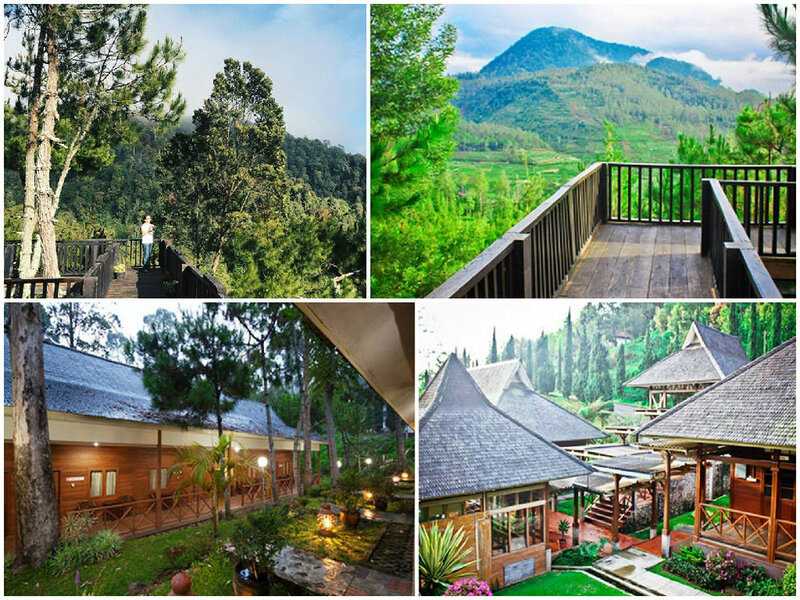 If you have 4 days or more to spend, you can do a combined stay: 2-3 days in central where you can eat and shop till you drop, and another 1-2 days in Lembang or Ciwidey to enjoy the fresh air. Now with this overview in mind, let’s explore the best places to stay in each area – all for under $48! 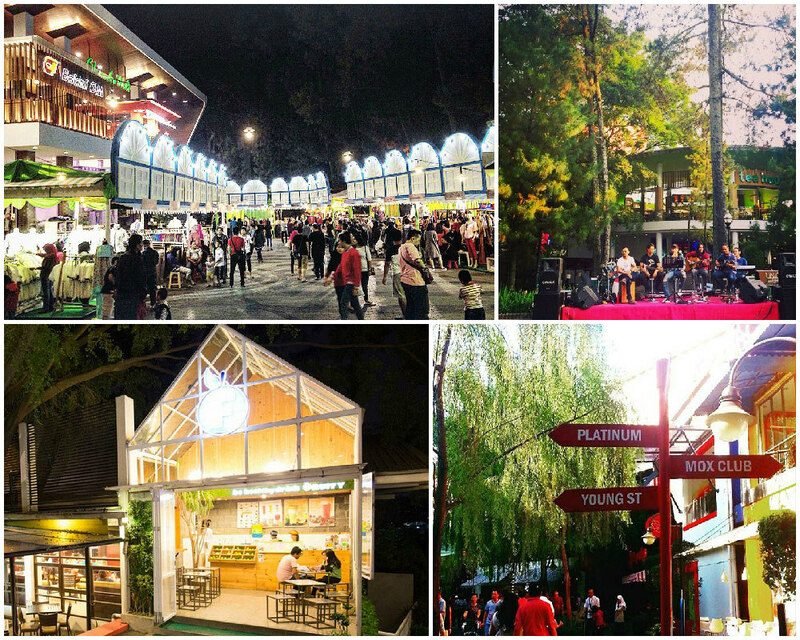 If you’re in Bandung, you can’t miss Paris Van Java mall. The name of the mall itself is in Dutch, as the city of Bandung was referred to as the ‘Paris of Java’. 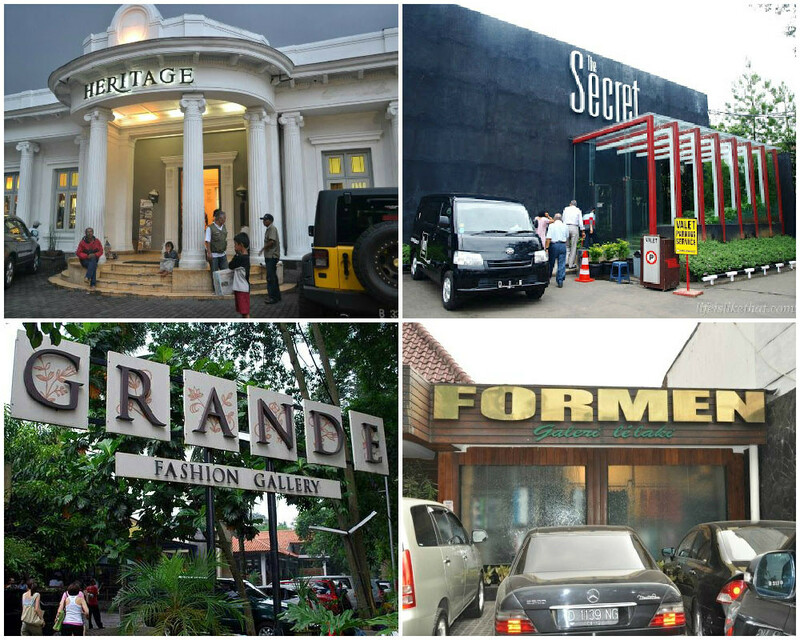 It houses some well-known brands, such as Fossil, Guess, Adidas, H&M, Zara and Mango (but they are retail outlets, not factory outlets) – but certainly not where you’d look for an authentic Bandung experience or cheaper buys. But if you’re going there with kids, they will love playing with rabbits, sheep, lamb and cows at the rooftop farm! If you’re looking for something more affordable, you must drop by Rumah Mode, one of the best factory outlets in Bandung. The place is spacious and there are several ATM machines located in the premises, as well as a restaurant. How convenient! 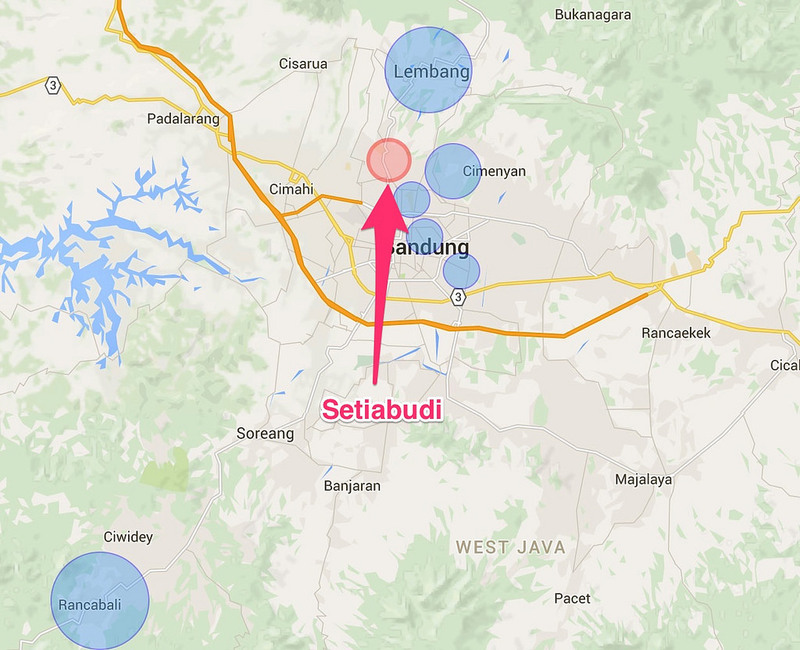 Just like Cihampelas, the Setiabudi area can get very crowded during weekends and during public holidays. 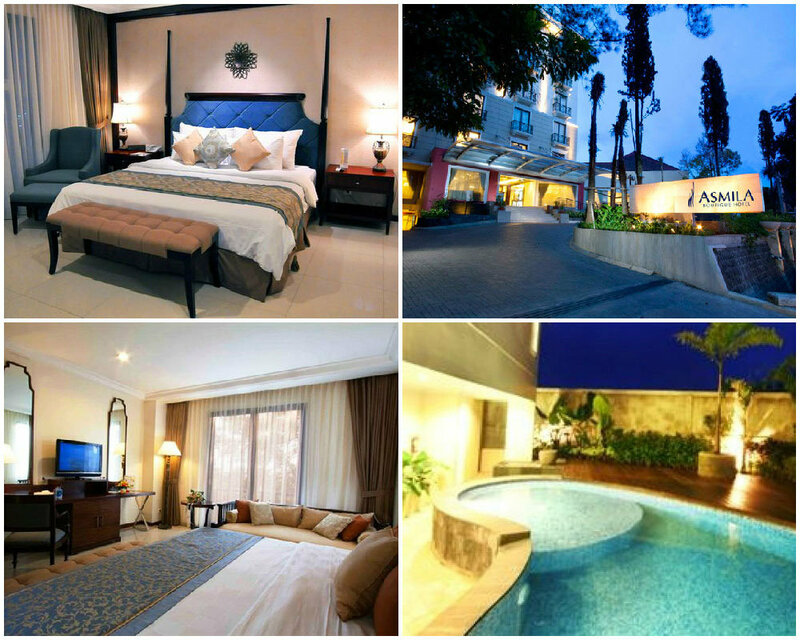 So here’s a few hotels that are near the area, so you can just walk to your shopping place! 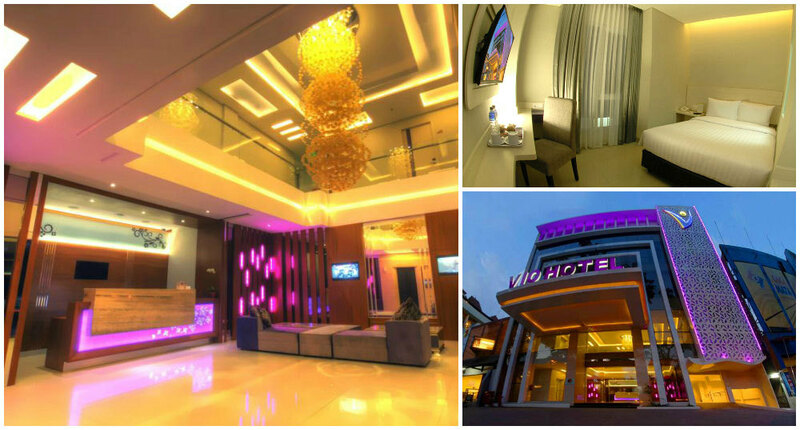 This 4-star hotel is very near Rumah Mode, and is only a 9-minute walk to Paris Van Java. Not to mention, it’s also super affordable. The only downside is that you can hear loud music from a night club across the hotel. But hey, if you love to party as well and would be out clubbing till 4am, the noise wouldn’t affect you at all – and what’s best, you get to shop the next day to get over that hangover. 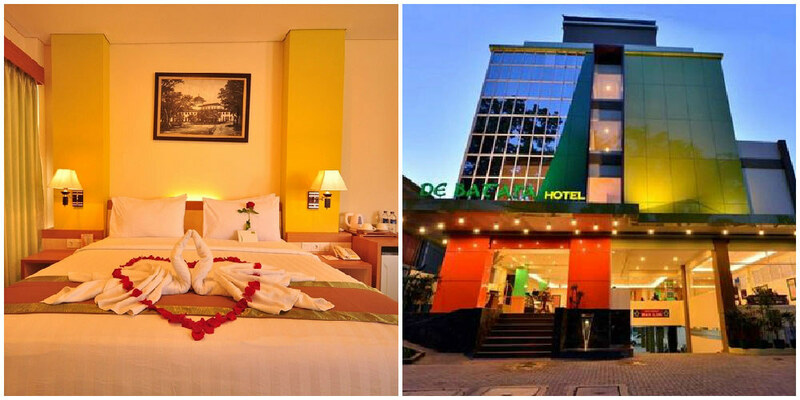 de JAVA Hotel is the nearest to Paris Van Java Mall (only a 5-minute walk away), and as it is located within the central district, you can also walk to the Cihampelas area in only 12 – 15 minutes. The hotel itself has a gorgeous rooftop pool, so once you’re tired from all the shopping, you can chill by the poolside or swim. This hotel has a collection of rare and vintage things, ranging from furniture to trinkets to bits and bobs here and there. It also has a pretty amazing pool right beside the restaurant. 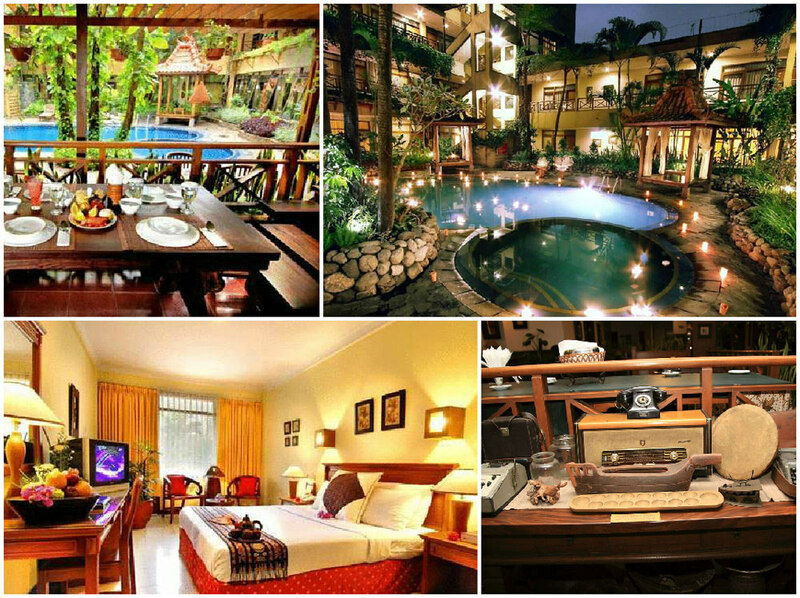 The decor of the hotel is pretty traditional, so it makes you feel very much immersed in the Indonesian culture. 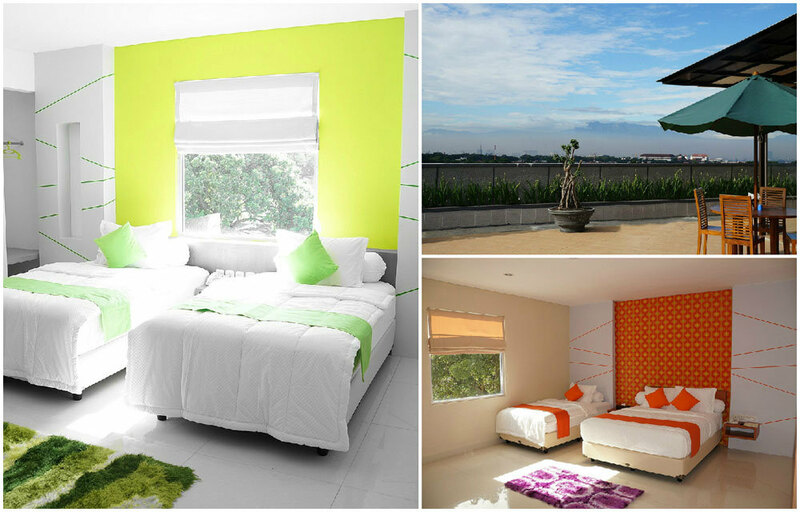 This guest house features different rooms with a variety of colourful wallpaper, like a theme of pop colours. 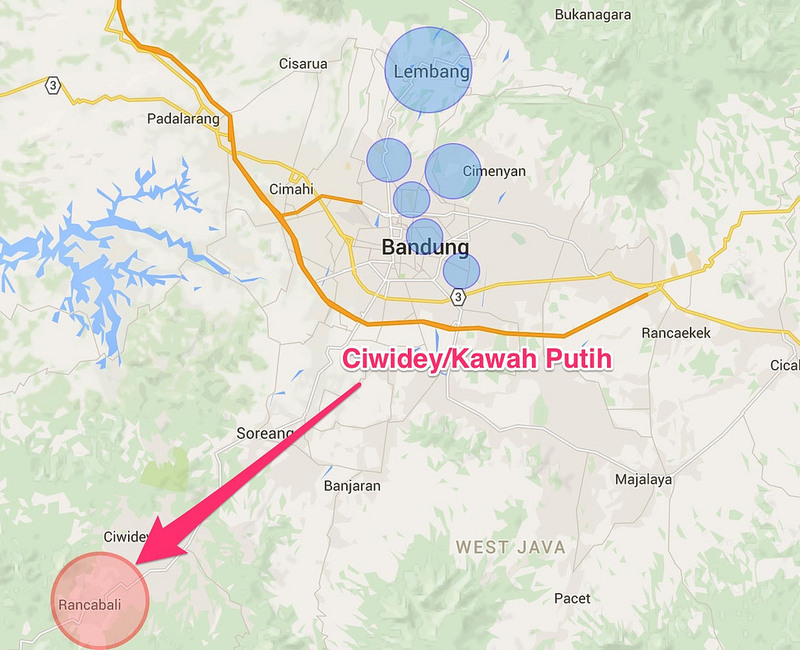 It’s also roughly around 5 minutes from Paris Van Java or Rumah Mode – located somewhere in between them! Very convenient if you want to visit both places. Riau is another popular shopping spot among tourists – it’s where you can find rows of factory outlets on the both sides of the road. This is where you can hunt for cheap branded goods at a fraction of a price compared to in other cities! While you’re there, don’t forget to visit the Pasar Baru Trade Centre (known just as Pasar Baru) too. This is where you can get even cheaper clothes, compared to the factory outlets, though not all clothes at Pasar Baru have brands. 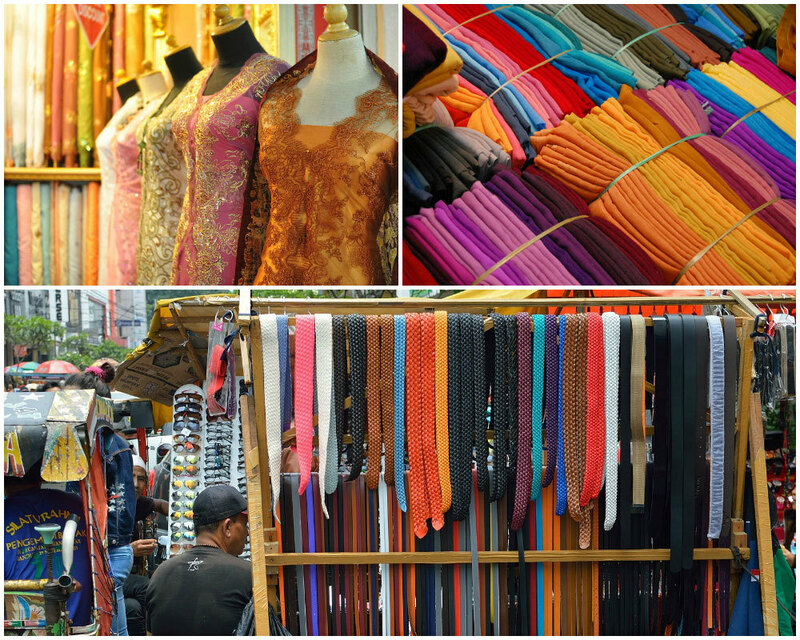 Pasar Baru is also known for having a majorly huge selection of fashion textiles of all sorts. But tourists beware – if the vendors in Pasar Baru know that you are not a local, they will mark up the price! So be sure to it bargain down. You may get a discount if you buy several things from the same shop, and even if you don’t, just ask. Bargain, bargain, and bargain! Besides shopping, you can also drop by interesting themed restaurants, such as Nanny’s Pavillon and Karnivor. 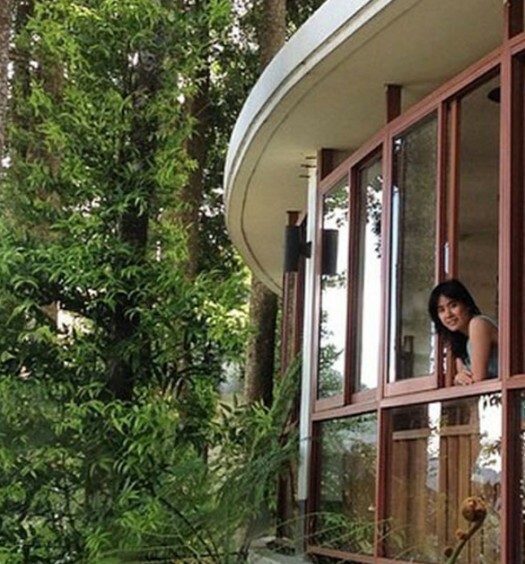 How can you miss all these cool cafes while in Bandung? 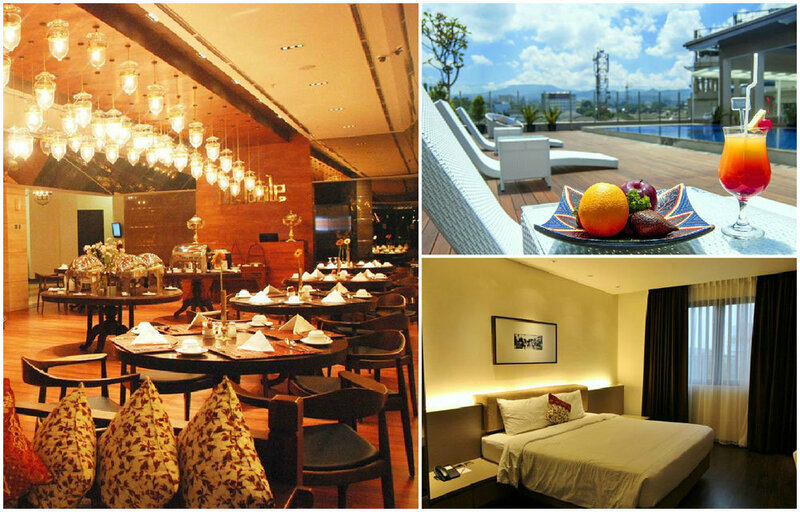 This boutique hotel has a glamorous interior, yet it’s unbelievably affordable (especially for a 4-star hotel)! 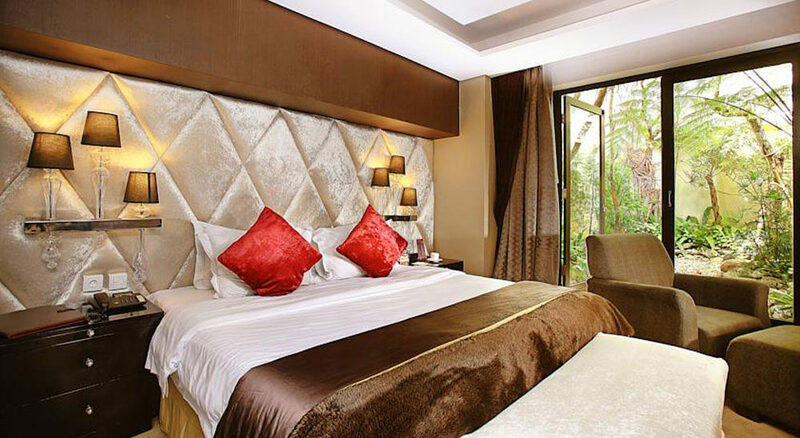 Conveniently located within walking distance to many factory outlets, you can enjoy the facilities in the hotel as well – it’s complete with a large swimming pool, golf course, and a pub. There’s also a kids room equipped with xbox and playstation consoles, perfect for those of you who have kids and want to go shopping! Just the name of the hotel itself will remind you of some expensive Italian brand. And you’ve got it right! 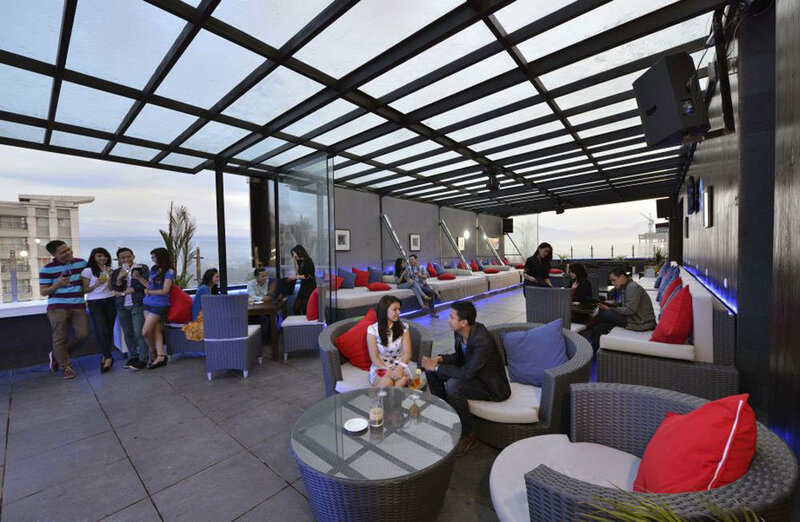 The hotel features a Sky Lounge and a Party Venue for party-goers, and it’s close to several places such as the Braga City Walk and bars and cafes that are within walking distance. 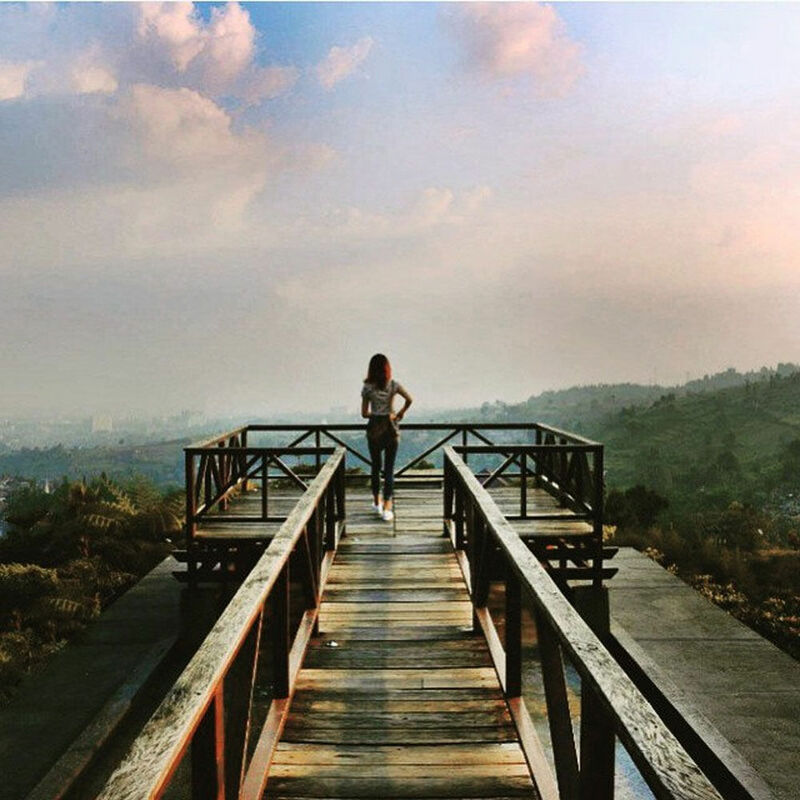 Lembang may not be a shopping destination, but it is a very popular must-go for visitors to Bandung – as an escape from the city, it’s just an hour’s drive away from the central of Bandung. 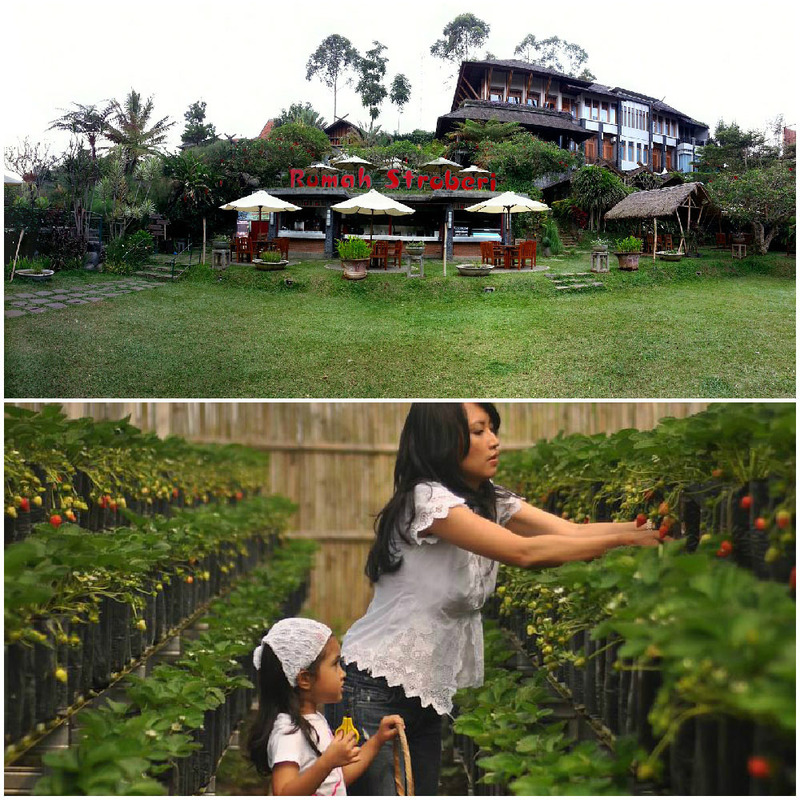 While you are here, you would definitely not want to miss Dusun Bambu Family Leisure Park. 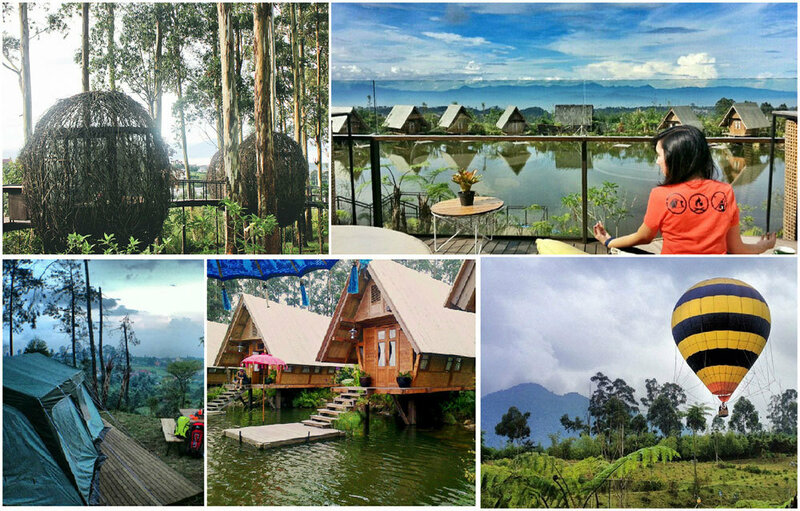 Dusun Bambu is an ideal place to spend the weekend with your loved ones, family or friends – here, you can find everything (literally), from villa accommodations to camps to activities like biking or adventure games for kids. 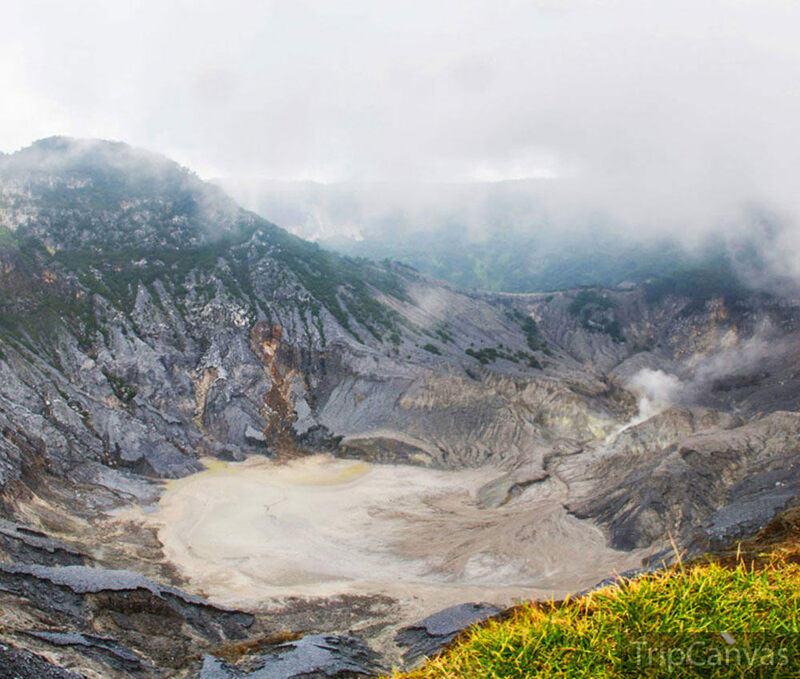 This is where the famous Tangkuban Perahu mountain is located. In there, the smell of sulphur is pretty strong, as the volcano is still active. But the beautiful and breathtaking views that you can get from the mountain is a guarantee that will make you forget completely about the pungent smell. While you’re in the area, you can visit strawberry farms – there’s quite a few where you can pick as much as you want with a small basket. 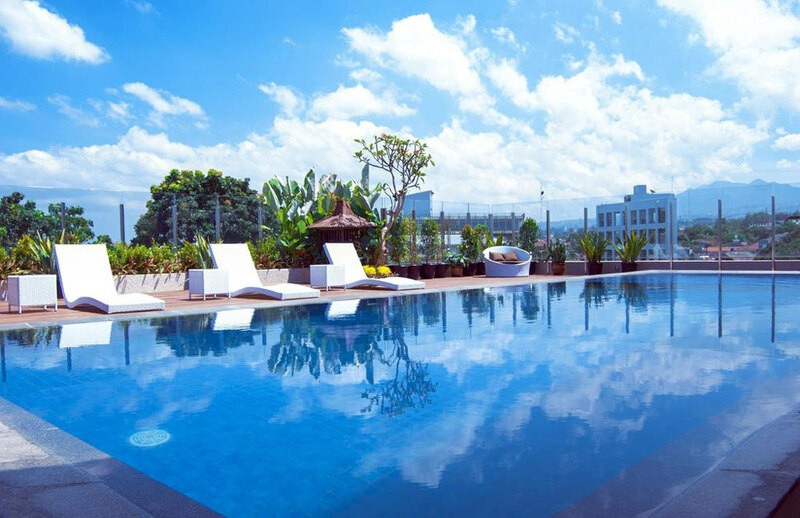 Take a dip in one of the best infinity pools in Bandung and unwind with a cocktail, as your eyes feast on a mesmerizing view of paddy fields and city lights in the horizon. You can still enjoy the breathtaking view while dining on a patio hanging over the edge of the pool. As it’s on higher ground, you’ll be greeted with a morning mist when you wake. 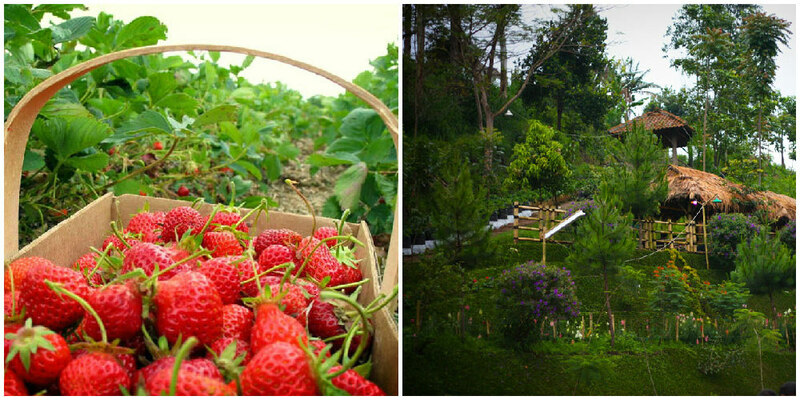 Here, not only can you pick strawberries at the farm, but you can stay here as well! How awesome would it be to be able to pick strawberries every morning and turn it into fresh-from-the-garden juice? Mmmm delicious! 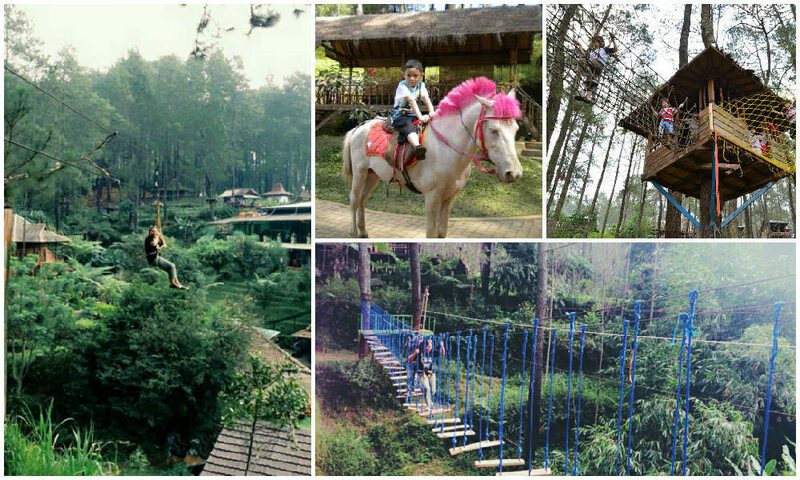 Grafika Cikole is the place to be for outbound (outdoor bonding activities), be it with your family or friends. There’s also 6 restaurants located in its premises, so you’ll be spoilt for choice! 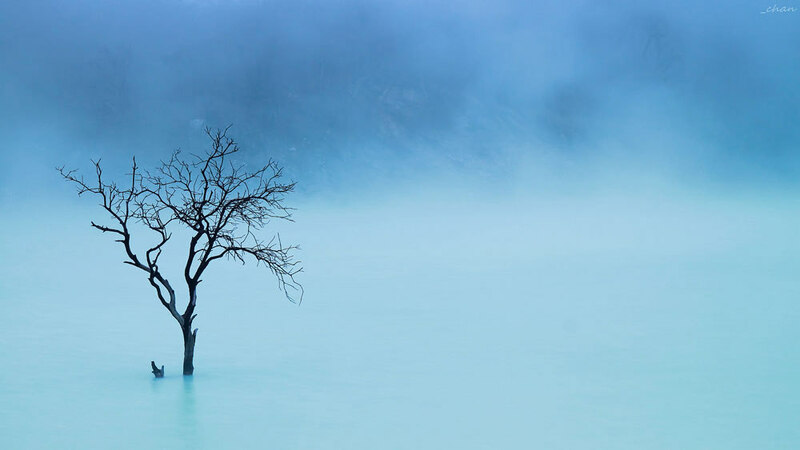 This gorgeous crater lake is in the colour of a beautiful light turquoise. The sand and rocks surrounding the lake has changed colours due to the highly acidic lake water (pH 0.5 to 1.3!). So though it is very mesmerising, don’t think about dipping even your hand or feet in! And take note that the smell of the sulphur is a lot worse than at Tangkuban Perahu. Sometimes it’s so strong that you can see sulfurous gas emerging from the water. But despite all that, it’s still too beautiful not to visit! Looking for an even more authentic experience with the Joglos? At Saung Gawir, not only are the Joglos bungalow-styled, but the walls are also made of woven bamboos – very much like the real traditional thing in Indonesia. You can even pick strawberries at the neighbouring farms! 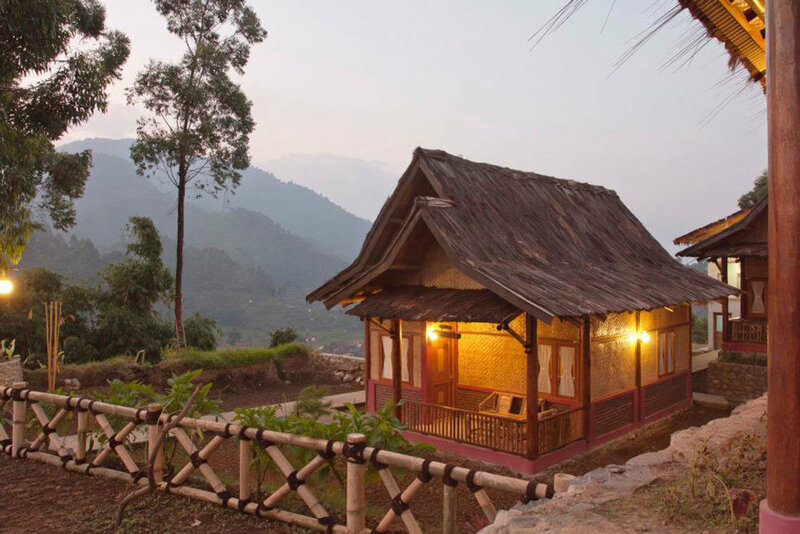 Each of these bungalows have a capacity for 6 persons. 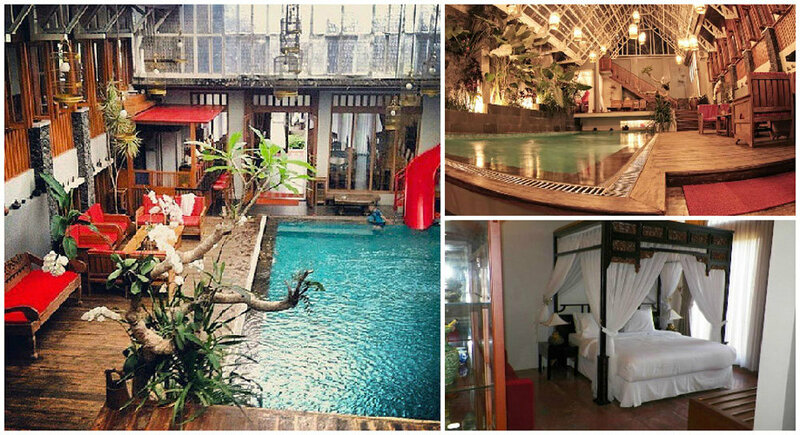 You can stay in traditional Joglos in this resort, which is only 1.4 km away from Kawah Putih! From your balcony, you can also see the mighty Tangkuban Perahu. What’s a better view in Bali to wake up to? 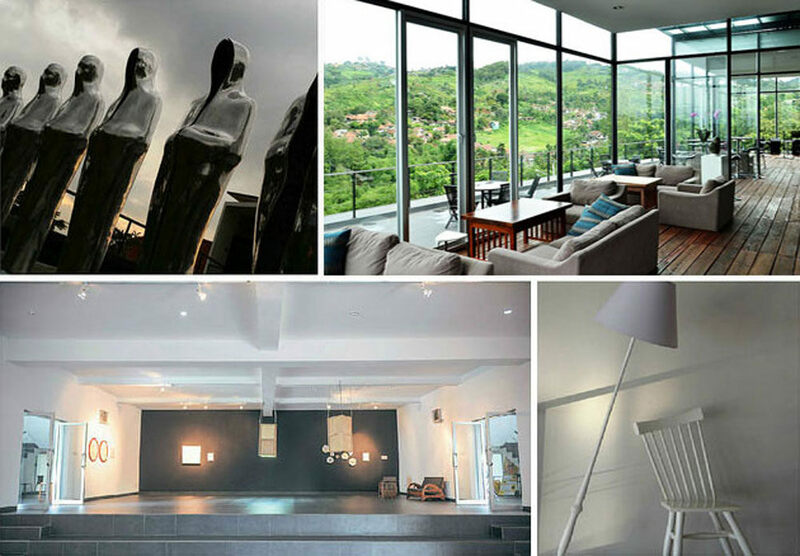 One of the notable highlights of Dago is Lawang Wangi creative space, an art gallery, craft shop and restaurant that sums up to a piece of art in itself, with incredible creative bits you can enjoy one by one, when the mountain view from the all-glass interior doesn’t distract you. 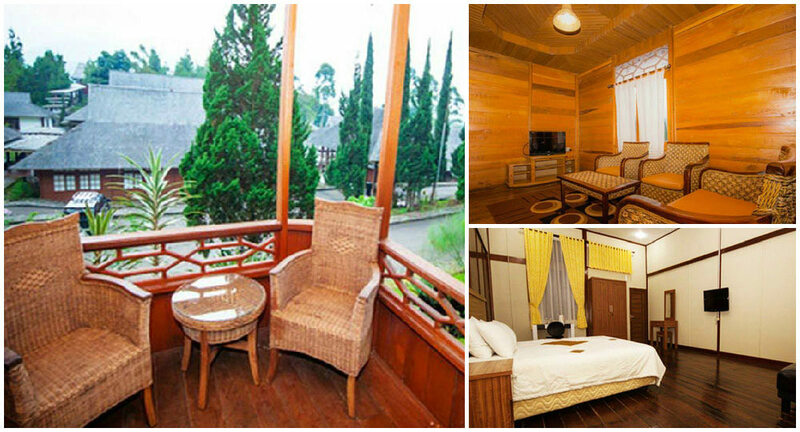 It also has a sophisticated deck, where you can capture the beauty of Bandung. 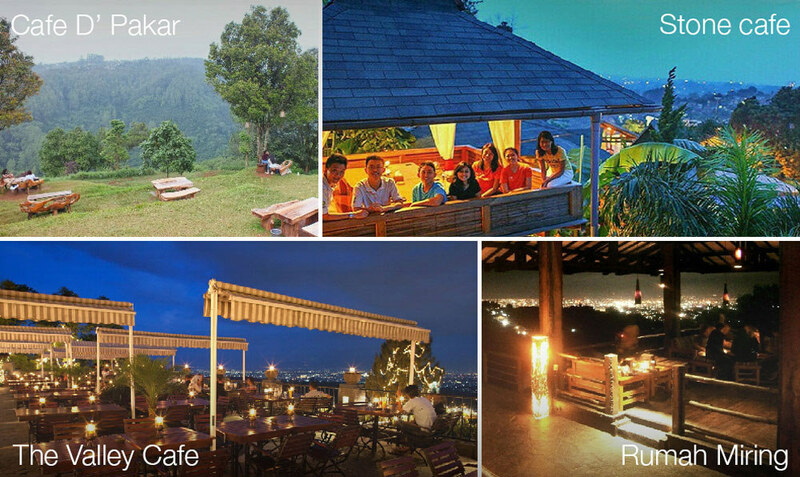 Also, on Dago Hill, you can find quite a few restaurants with breathtaking views. 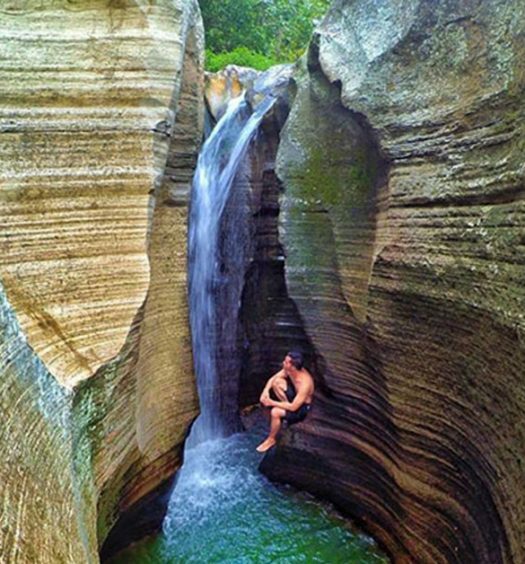 Or if you are adventurous, hike up to the ‘Tebing Keraton’, a cliff with a stunning view of the pine trees forest, or explore some of the hidden waterfalls in Bandung. This fancy hotel comes with a sky bar, a swimming pool for children, and a semi-indoor large swimming pool for the older ones. 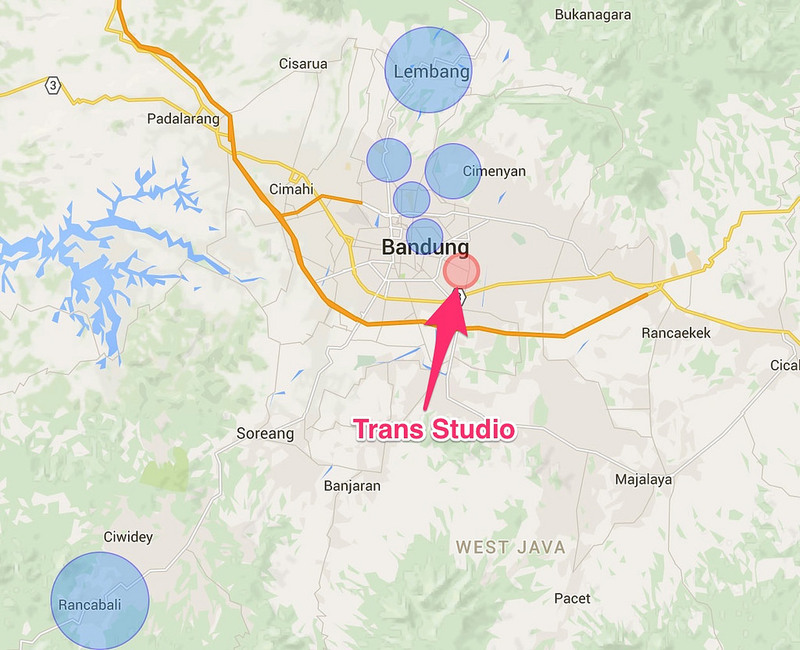 Several factory outlets and Bandung Indah Plaza Mall are within walking distance from the hotel, so not to worry! 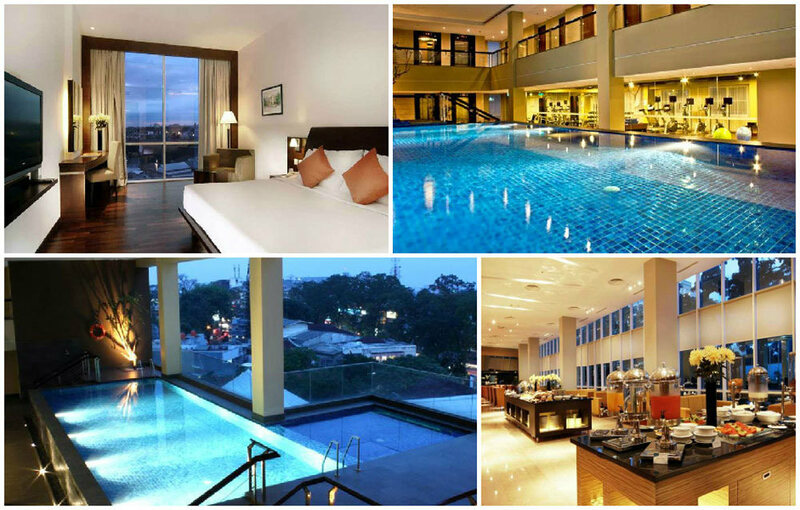 Another luxurious yet affordable hotel, Serela Hotel Merdeka is only two minutes from the Istana Bandung Electronic Centre (a.k.a IstanaBEC), a famous mall that mainly sells gadgets and anything related to it. The hotel itself is adorned by minimalistic designs from the inside out, literally. 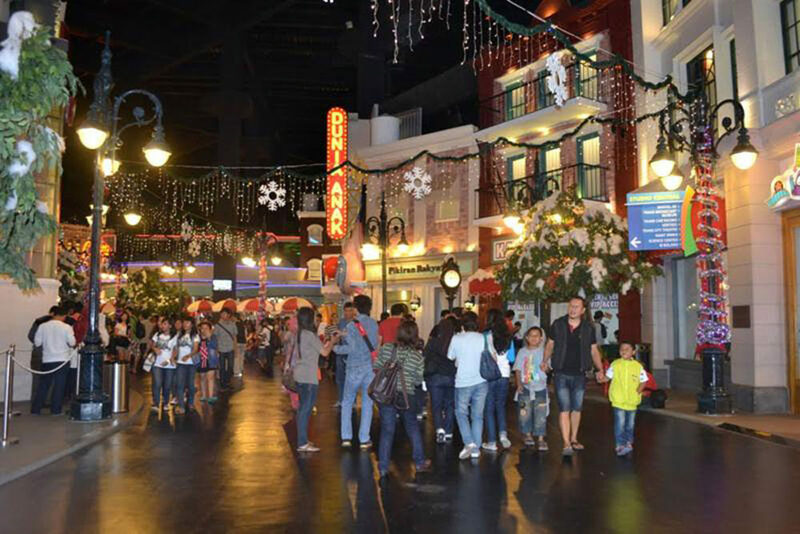 The Trans Studio is one of the biggest indoor theme park in the world. The theme park itself has 20 rides and more upcoming, with various shows for entertainment. Right beside it is the Trans Studio Mall (previously Bandung Supermall), which has over 200 retail stores with more than 100 food and beverage outlets as well. If you’re planning to go to the theme park, our tip is to buy the tickets first online (around USD 13 for weekdays and around USD 20 for weekends and public holidays). Buying online also saves you time from having to queue with other tourists. You can purchase the ticket here. This boutique hotel has a royal-like interior, yet exudes a homey vibe with its traditional rooms. 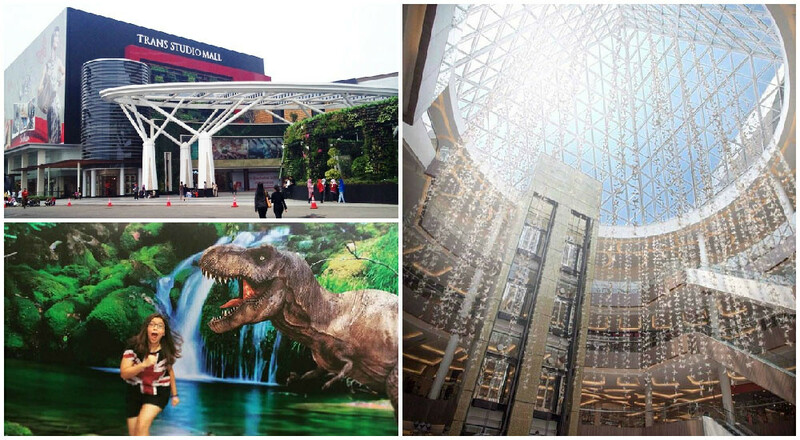 It’s also only a 12-minute walk to Trans Studio theme park as well as Trans Studio Mall. The Cihampelas Walk mall (also known as Ciwalk) located at 160th Street of Cihampelas is one of the best places to hang out and shop, popular among both locals and tourists. And while you’re there, you can stroll along a street full of shops selling various kinds of jeans, from pants to mini skirts to jackets! But tourists be warned – during the weekends, this area is usually packed full of shoppers. The traffic can also be quite heavy and you may spend a lot of time just to find a place to find a parking spot! So it’s best to visit during weekdays if you want to avoid the crowd. This hotel is right by the denim/jeans street itself, so all those jeans shops are right at your doorstep! Forget about having to call for a taxi, just walk! 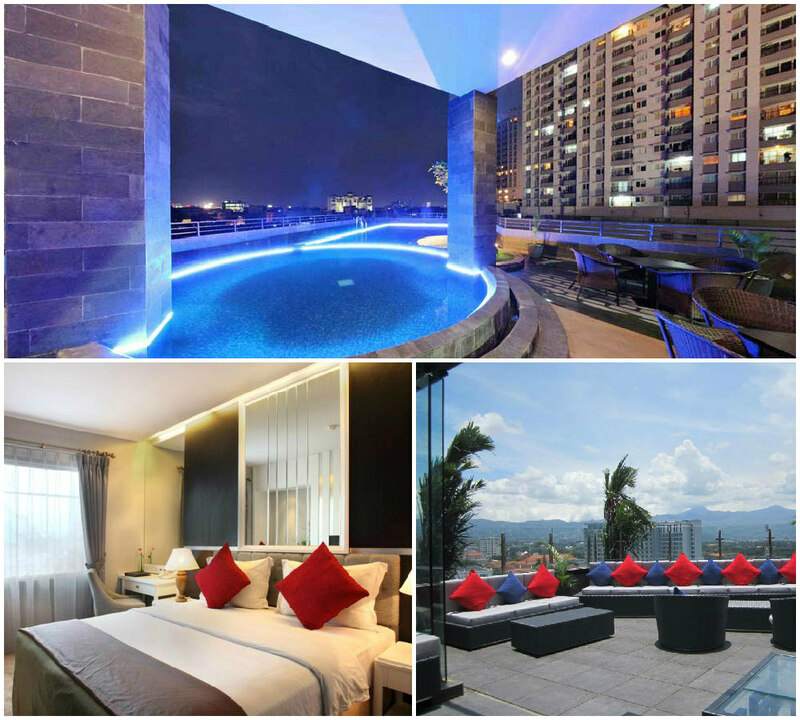 The De Batara Hotel is centrally located, so you can visit the jeans street, Ciwalk, SapuLidi Restaurant (one of the restaurants with breathtaking views in Bandung), as well as the Bandung Zoo. This is another hotel that’s right by the jeans street, so you don’t need to worry if the other hotel is fully booked! 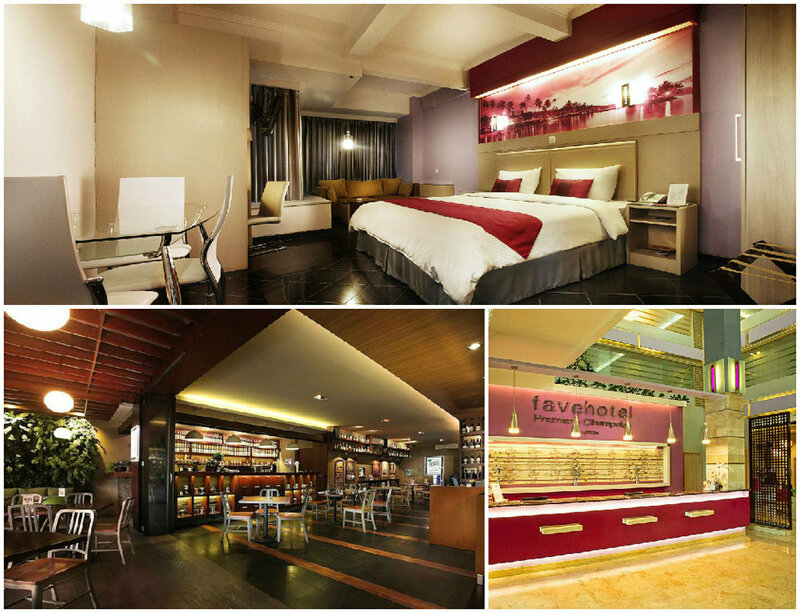 favehotel features a purple theme throughout, from the lobby to the rooms. Just like De Batara Hotel, you can also easily access all the shopping locations mentioned above from favehotel as well. This hotel is the cheaper alternative compared to the other hotels mentioned above, but without compromising style and comfort! 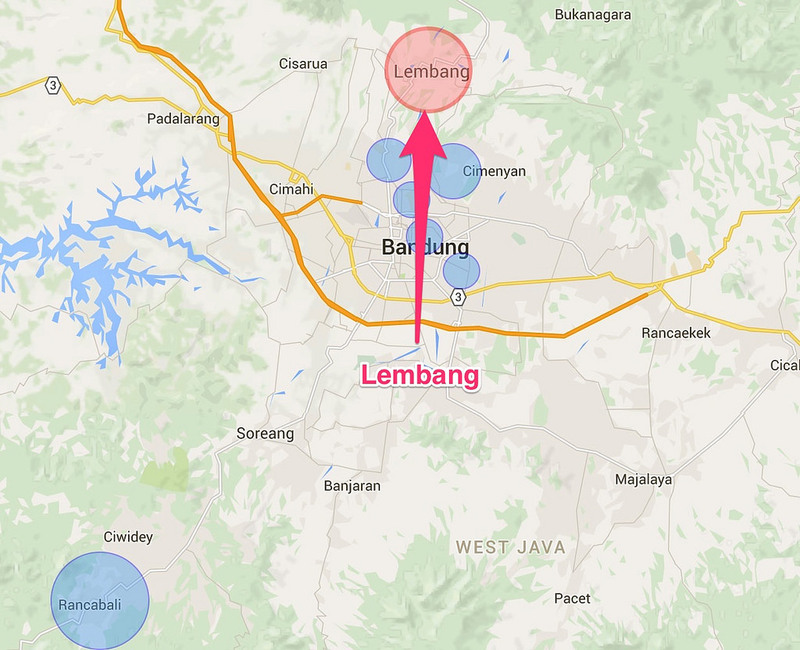 And the distance to the shopping places in Cihampelas from the hotel is just as near as from the other two hotels. Every bedroom is also decorated with different cities’ skylines as the wallpaper. 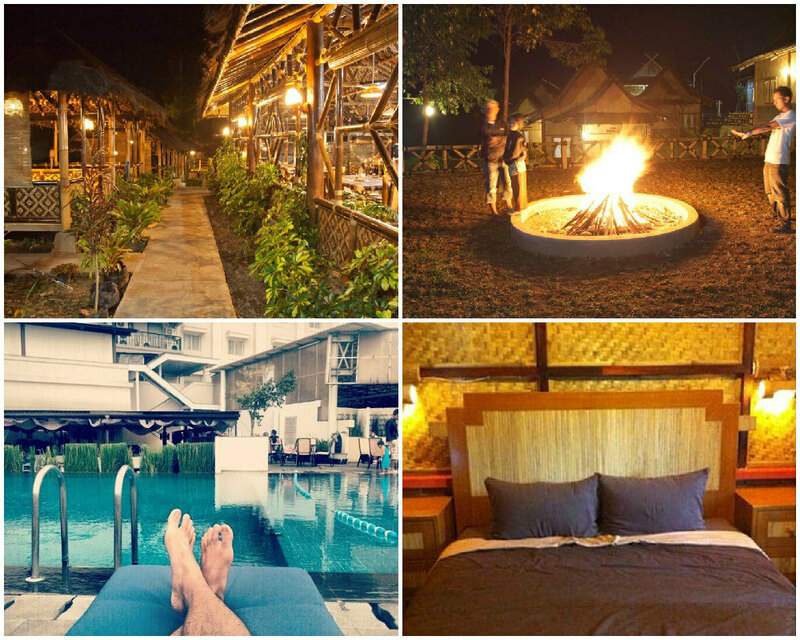 Are there any other accommodations near the best factory outlets or popular natural landscapes that you feel should be included too? Let us know!